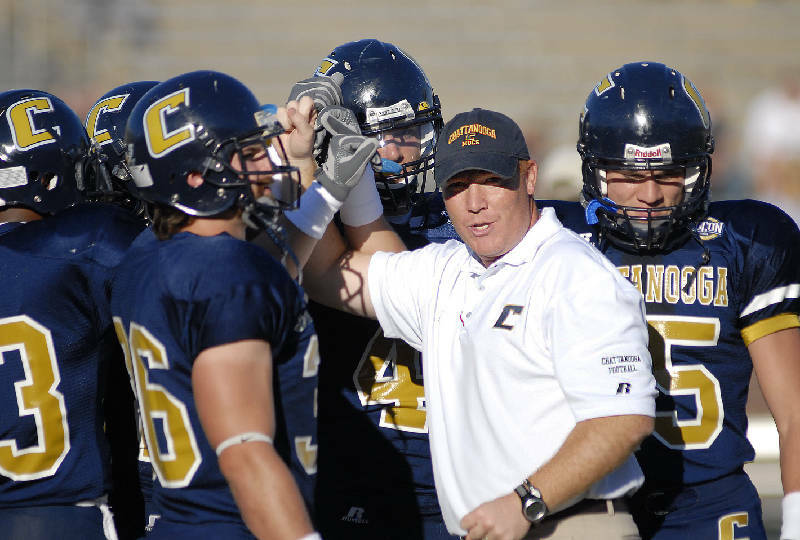 UTC defensive coordinator Adam Fuller. The University of Tennessee at Chattanooga football program had the same head coach and coordinators for four seasons. Head coach Russ Huesman said last month that having offensive coordinator Marcus Satterfield and defensive coordinator Adam Fuller together for so long provided valuable consistency and continuity to the program. It was a good run. Satterfield left in late December to become the offensive coordinator at Temple University. Friday, Huesman said Fuller had left for a job on Doc Holliday's defensive staff at Marshall. UTC was first or second in the Southern Conference in the major defensive statistical categories -- points and yards allowed -- the past two seasons. With that kind of performance, it seemed only a matter of time before a Football Bowl Subdivision program came calling. "He's great at his job," said Huesman, who first worked with Fuller at Richmond. "He's one of the best football coaches I've been around, and I hate to lose him. It's tough to lose him. This was an opportunity he just couldn't pass up. "They came after him really hard, and it was a tough decision for him." In a phone interview, Fuller wouldn't comment on anything Marshall-related, but he spoke of his time with the Mocs with pride and affection. "Instead of being a coach I turn into being their biggest fan next year," he said. "There's a lot of good players in the program that played a lot of football. I'm sure they're fighting at the bit to finish the job. I know they will, especially under Russ." Life without Fuller went on uninterrupted Friday. Huesman told the team about Fuller's departure at a 3 p.m. meeting, and the Mocs had their first day of mat drills immediately after. Huesman said he's not entirely sure which direction he'll go with the search for a new coordinator -- "I've got about a thousand things flying through my head right now," he said -- but he has time to find the right candidate. Spring practice begins March 22. Since their days at Richmond, Huesman and Fuller worked very well together. Their defensive philosophies are virtually identical (4-3 scheme, keep it simple and keep it fast), and watching video separately, they often would come up with the same ideas for how to stop opponents. "It's difficult in this profession to have such a close relationship. You don't get that at many jobs," Fuller said. "It's something I'll cherish and something that was really, really special." A year ago, UTC lost offensive line coach Geep Wade and video coordinator Alex Schnitzer to Marshall. Wade is now at Middle Tennessee State and Schnitzer is back at UTC. "We're just turning into a farm system for Marshall University, I guess," Huesman said, half joking. "And that's what I told Doc Holliday. ... I can't hold it against him -- he's taking good coaches."